The Ancient Egyptians were famous for many things. Many people remember them as being the people that built the pyramids. Others remember them for their burial practices and mummies. But what we really remember them for is their extravagance and attention to detail! Not only were the Ancient Egyptians great at creating detailed art pieces and sculptures, but they also put that same eye for detail and extravagance to their clothing choices. They always had the best outfits and jewelry! Forget King Tut! You're the new ruler and a mighty pyramid is being built right now in your honor. If the peasants don't recognize your power, they are obviously in 'da Nile.' 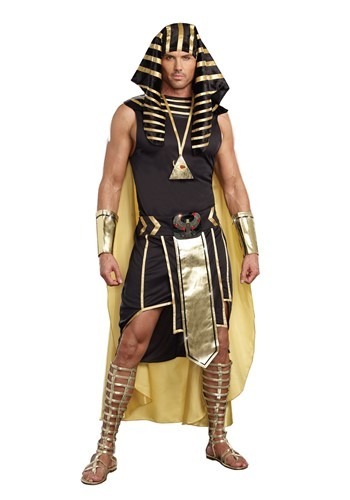 Not only will you be King of Egypt, but you'll also be the king of any party that you attend. 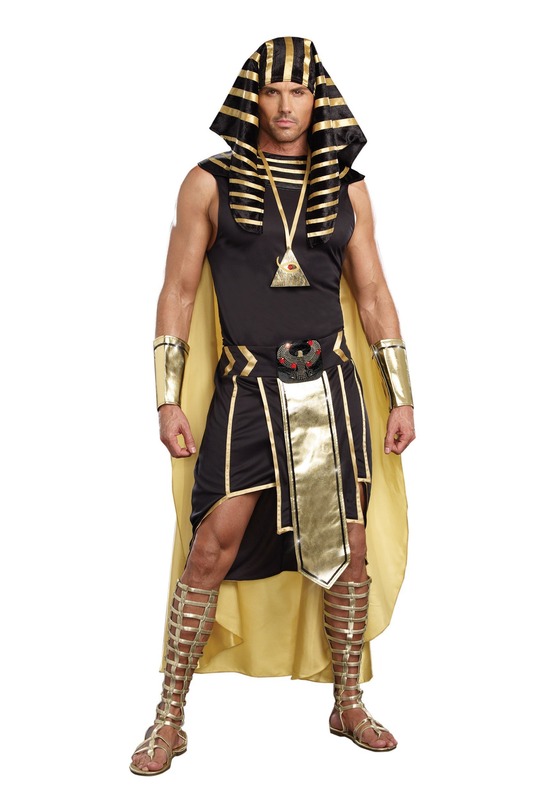 This costume will get you ready to ascend the throne in style! The sleeveless pullover tank top has a collar and cape combination that fits over the head. The skirt has an elastic waist for a comfortable fit and the faux leather front drape has an embroidered bird with faux gems - an appropriate embellishment for such a fine king. The gauntlets add detail and fasten with Velcro. The costume also comes with the requisite headdress that is held in place with an elastic band. The triangular faux leather medallion is on a ribbon necklace and is set with a faux gem. 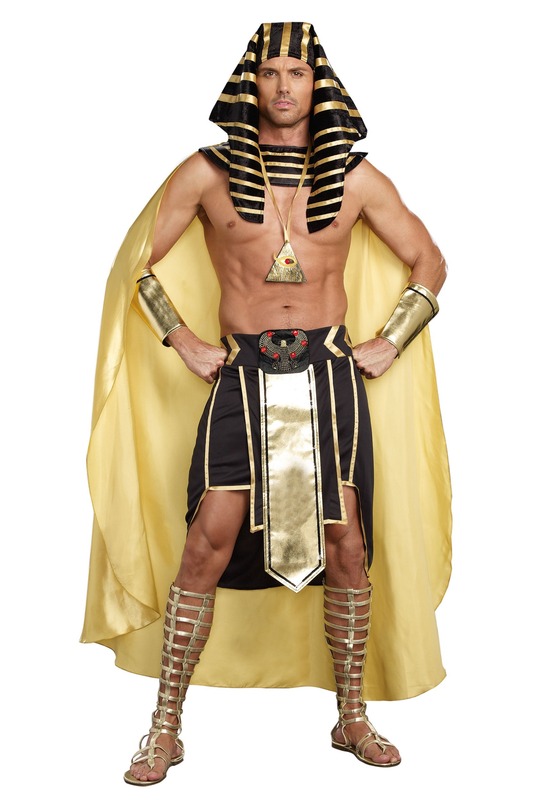 This extravagant costume is sure to show those in your kingdom just how powerful you really are! Add a pair of sandals and a staff to give your costume the extra details it needs to stand out in a crowd!